Improving diversity in tech must happen outside of the Silicon Valley bubble in order for the industry to progress. 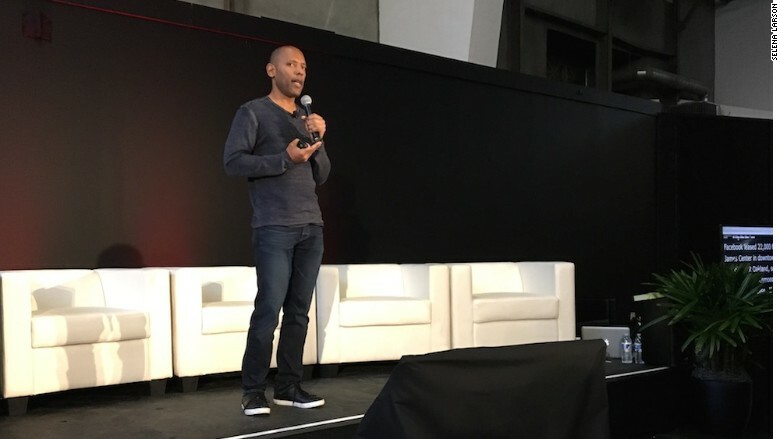 That's according to Leslie Miley, Slack's head of engineering, who addressed a crowd at the Tech Inclusion conference in San Francisco on Wednesday. 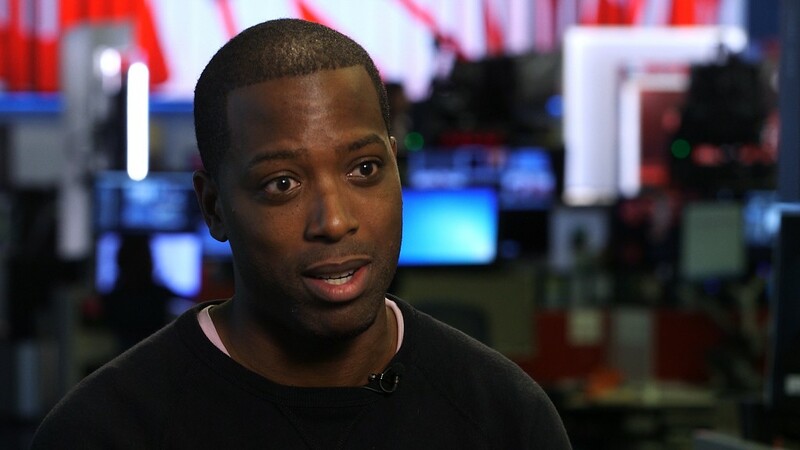 He called Facebook's efforts to improve diversity "insulting." Hundreds of people assembled to listen and provide solutions for changing a technology culture that's overwhelmingly white and male. "I think [companies'] hearts are in the right place, but I don't think their money is in the right place," Miley said. Miley, who is African American, said the issue isn't that companies don't care about diversity. Rather, they're not investing in people and communities that can build more diverse and inclusive cultures. Slack engineer Leslie Miley on stage at the Tech Inclusion conference. This summer, Facebook (FB) blamed the "pipeline" -- or lack of tech talent -- for its failure to move the needle on hiring minority employees. The social network most recently caught flack for using diversity as an excuse for keeping controversial investor and Donald Trump donor Peter Thiel on its board of directors. Facebook is not alone in minority representation. Miley criticized Google's (GOOGL) decision to build a campus in downtown Boulder, Colorado, which has a population that is 88% white. "It is not just imperative, it is almost mandatory that they go and say, 'We're going to do the same thing in Detroit, in Atlanta, in Richmond that we did in Cambridge, Austin or Boulder,'" Miley told CNNMoney. "Boulder has no black people. You can't take some of that spend and allocate it to a more diverse city?" Related: How diverse is Silicon Valley? The news comes as major tech companies have released data and outlined initiatives to bring more women and people of color into the workforce. Miley is an outspoken critic of diversity in Silicon Valley. In 2014, he wrote an article lambasting the industry for ignoring minority talent. Meanwhile, a viral blog post he wrote in 2015 outlined Twitter's failures at understanding diversity while he was a manager at the company. But Miley said his current employer, Slack, gets it right. The company has cultivated a reputation for its transparent approach to diversity and was one of a handful of tech startups to release workforce data in 2015. It also recently opened an office in Toronto, which is known as a multicultural hub. This is the second annual Tech Inclusion conference; Miley also spoke last year. The event feels different than other tech conferences. Many of the attendees themselves are diverse and from companies outside of the Bay Area. The bathroom is designated "all gender" and every panel has a sign language interpreter for deaf attendees. The conference includes panelists that criticize the tech industry they work in, but they also offer solutions to change stereotypical behaviors, biases and inequality. Meanwhile, executives at the Wall Street Journal's Digital Conference this week touched on how to fix tech's inequality issues too. Salesforce CEO Marc Benioff talked about how his company has "adopted" 20 public schools in the San Francisco area. It has invested $6 million and 10,000 volunteer hours to build out computer science opportunities. Although putting money into education is one way to try and address tech inequality, Miley says it's not enough. "The commitment has to be, 'We're going to put our money where our mouth is,'" he said. "Not to just fund a coding school but to actually help communities build themselves." "The way we do that is by not giving money to schools; you build it by giving people good jobs so they can [grow] their communities."